Van Beest B.V., manufacturer and supplier of wire rope and chain fittings, recently announced they have added a new type of TAG to their line, an RFID tag. The RFID (Radio Frequency Identification)tag now allows Van Beest products to be identified easily with individual serial numbers. The ChipID reduces downtime associated with the inspection process, eliminates the need to retype inspection reports and gives instant as well as accurate on-site ID – no misread or incorrect documentation of tags. Van Beest’s RFID tags are made by Infochip; a global leader in RFID based safety solutions. Since 2002 Infochip has supported a comprehensive network for manufacturers, service teams and customers to better identify and track industrial assets. Utilizing mobile computing, RFID and Internet based reporting, the effort to identify and inspect assets is reduced by up to 60%. InfoChip improves accuracy, accountability and drives safety best practices throughout the asset’s lifecycle. 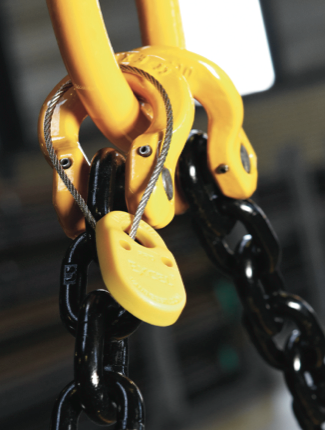 For over 80 years, the production of high tensile shackles has been Van Beest’s core business. Mr. Dirk van Beest founded the company in 1922, initially as a supplier of iron works to the dredging industry. From the very beginning, the company has been forging shackles. Its ironwork expertise gave the Van Beest shackles an edge over the competition and now with the addition of the RFID tag, Van Beest continues to make their products stronger and better for their customers.